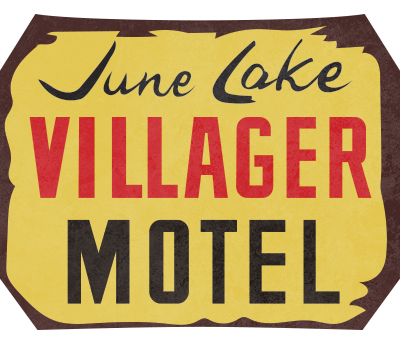 The best way to experience June Lake is after a great night sleep in one of our amazing rooms. If you have booked a room with a kitchen, getting going in the morning is a breeze as you don’t have to go anywhere for breakfast. In our lobby, we always have free coffee- if the selection in your room isn’t large enough. Next, you are going to want to head over to Ernie’s Tackle and Ski shop. He has a great selection of skis, snowboards and winter gear for rent. Great news- you already have a coupon for staying with us making it an even better deal. After Ernie has outfitted you properly, you are going to want to get to June Mountain. This beautiful mountain has some of the best snow in the Sierras. Kids ski free and you could pay for lessons for those kiddos or even yourself while there. With seven different runs, there is enough room for snowboards, skis or even cross-country skiing without feeling crowded or busy. On the mountain, there is a cafeteria-style restaurant and a great bar to fill you up during the day. As the day comes to an end take a stroll to the Sierra Inn for some great pizza. Since you have a coupon your wallet will be happy while you make your belly happy. Before coming back to the hotel grab some local beers at June Lake Brewery. It's just down the street from the Villager- you don't even need to drive! Kids are welcome to hang out while you enjoy the local flavors. After a full day, you are going to need a great night’s sleep. Come back to your room, put some wood in the fireplace and cozy up while you stream a movie on your tablet or laptop. The pillow top mattress and warm blankets will help you get the rest you need.